When you stay at Crowne Plaza Hunter Valley in Lovedale, you'll be near the airport, within a 5-minute drive of Roche Estate and Hope Estate. This 4-star hotel is 3.6 mi (5.8 km) from Hunter Valley Gardens and 4.3 mi (7 km) from Bimbadgen Estate. A winery is attached to this Lovedale hotel. 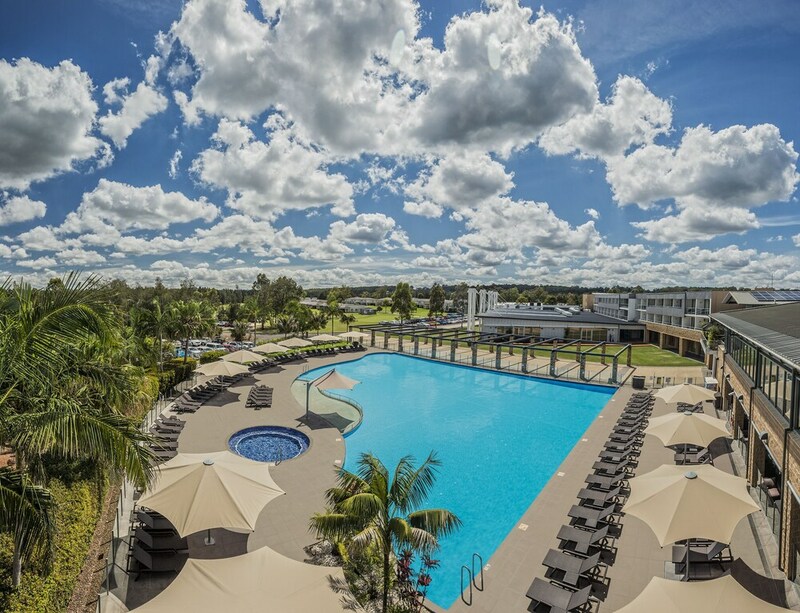 In addition to a full-service spa, Crowne Plaza Hunter Valley features a golf course and outdoor tennis courts. The hotel offers a restaurant and a coffee shop/café. A bar/lounge is on site where guests can unwind with a drink. A computer station is located on site and wireless Internet access is complimentary. This 4-star property offers access to a 24-hour business center. Event facilities measuring 12594 square feet (1170 square meters) include a conference center. This family-friendly hotel also offers an outdoor pool, a health club, and spa services. Onsite parking is available (surcharge). Crowne Plaza Hunter Valley is a smoke-free property. Redsalt Restaurant - Overlooking the pool and garden, this restaurant serves breakfast, lunch, and dinner. A children's menu is available. Guests can play rounds at the 18-hole golf course and enjoy other recreation facilities including outdoor tennis courts and a health club. Other recreational amenities include an outdoor pool. Ubika Day Spa has 5 treatment rooms including rooms for couples. Services include deep-tissue massages, hot stone massages, Swedish massages, and facials. A variety of treatment therapies are provided, including aromatherapy and hydrotherapy. The spa is equipped with a sauna and a spa tub. This property only accepts debit or credit cards for all bookings. Cash is not accepted. Please note that cultural norms and guest policies may differ by country and by property. The policies listed are provided by the property. This property will place an authorization for full payment at time of check-in for any bookings where payment for the stay will be made on site instead of at the time of booking. For more details, please contact the property using the information on the reservation confirmation received after booking.